Arab League and Hamas endorse Bernie Sanders! Don’t believe every headline, but there may be truth to the one on this blog. The reason? There’s many a happy smile in places like Iran, now that one of our Presidential candidates has joined Noam Chomsky’s cult – the one that uses propaganda to express hate, not just signs in Arabic like “Death to Israel” on long-range missiles. Chomsky, who has publicly endorsed his friend Bernie Sanders for the Democratic nomination, has strong views about just which group of Americans (Jews) should be named as the chief target of an aggressive campaign of class warfare against “the rich and privileged”, whom Sanders is daily berating. For these two men, who have been raised Jewish and are now atheist or agnostic, the loss of religious identity is probably their major psychological landmine. They know they represent the end of their ancestral line of Jews, having denounced their parents’ dreams and beliefs, and they now must pretend their upbringing was a mistake, an unfortunate accident of fate. Dislike of Israel and support for the Arab causes are Chomsky’ crusades and also mainstays of the Sanders’ campaign for Democrat nomination for President. Refusing to attend the speech to Congress by Israel’s prime minister, ignoring to address AIPAC, plus his enthusiastic support of the flawed Iran capitulation deal by Barack Obama, are just examples. Sanders recently had the opportunity to at least appear more even-handed in his views, and use his new political power to improve America by stepping aside from his obsessive crusade against Israel in order to concentrate on important issues. His big chance was the Democrat Party’s decision to grant him five of the 15 seats on its 2016 Platform Committee. Here Sanders can shape the face of the party, instill progressive ideals, show what democratic socialism in the European model really means. My first thought was: who would he appoint? Elizabeth Warren, a fellow Senator, who has a mastery of economics and understands the changes we need in our laws? Robert Reich, former Secretary of Labor, and author of the acclaimed Supercapitalism: The Transformation of Business, Democracy, and Everyday Life? Jared Bernstein, former economic advisor to VP Joe Biden? Paul Krugman, winner of the Nobel Prize in Economic Sciences and NYT columnist? Nancy Altman, author of Social Security Works and The Battle for Social Security? Parker and McKibben are both lightweights – one appointed to show concern for American Indians, and the other to portend world’s end. McKibben is particularly odd. He once advocated America follow the “only one child per family” scheme used in China. West condemned President Obama as “a black mascot of Wall Street oligarchs and a black puppet of corporate plutocrats.” West endorsed Sanders’s candidacy just after publicly summoning a number of prominent blacks to call for the elimination of Israel from the family of nations. 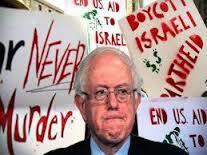 He is a leader of the BDS movement. West and Sanders are also both advocates of the Black Lives Matter group. Zogby is founder and president of the Arab-American Institute. In 1979 he campaigned on behalf of the National Emergency Committee to Defend Ziad Abu Eain and prevent his extradition to Israel for a bombing in Tiberias that murdered two Israeli teens and wounded 36 others. Zogby is often on tv as a spokesman for the Arab community and claims there is an excessive influence of Jews on American foreign policy. 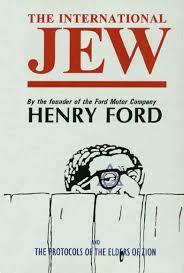 We already have a plethora of … sects of Jews arrayed against Israel: Jewish Progressives against Israel; Holocaust Survivors against Israel; J Street (a favorite of Sanders); Children of Holocaust Survivors against Israel; Jewish Voice for Peace; Survivors of the Warsaw Ghetto against Israel; Jewish postmodernists against Israel; Grandchildren of Holocaust survivors against Israel; Jewish Berkeley Professors against Israel; and so on and on, ad infinitum, ad nauseam.